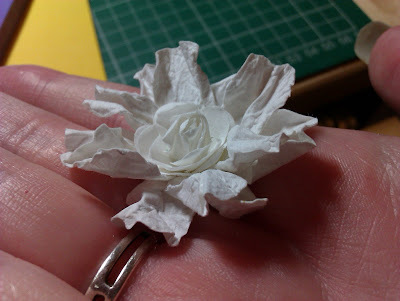 A lot of DoCrafters have asked me how to make this particular flower that was in my gallery. And ever the obliging person that I am, here it is. 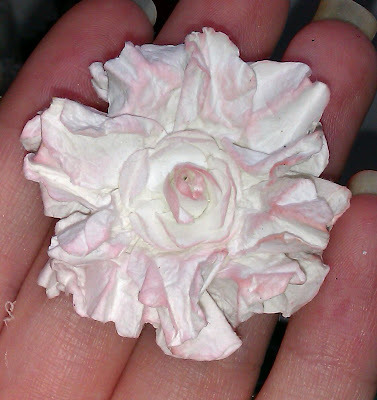 To make this flower is actually very similar to making the shabby rose from one of my previous tutorials. 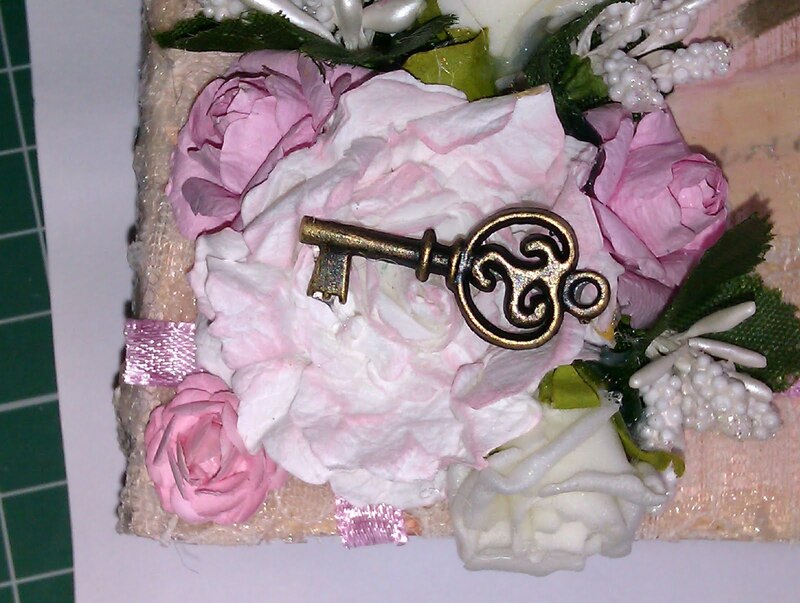 If you would like to see it, please click here. 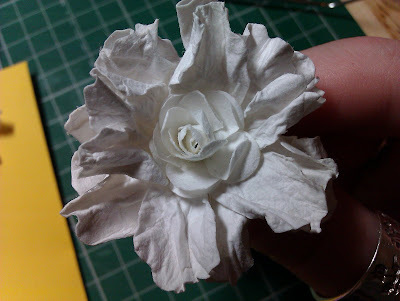 Right lets get down to business and make this very easy but pretty flower. Paper or cardstock. I happen to be using a mulberry type paper for this tutorial but use whatever you like, it can be coloured, plain, patterned, embossed....whatever you like. The choice is yours. 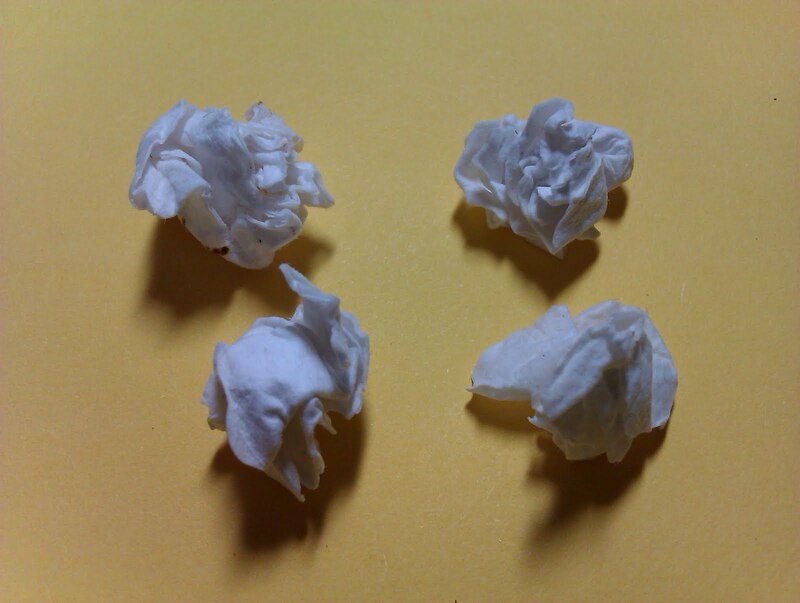 The petals of the flower need to be a little longer. So take each of the 4 flowers and make a small cut between each flower. 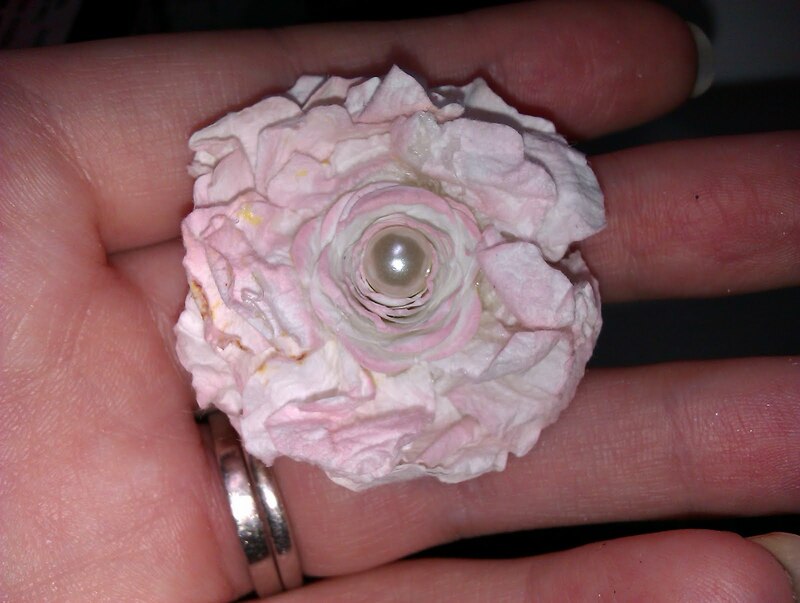 Don't go the whole way down to the middle of the flower or you will lose petals this way and they will fall out. See photo 1. Take each of your 4 flowers and lightly spritz with water. DONT SOAK the flowers. 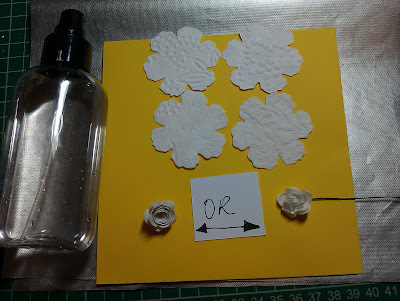 The water just helps the make the flowers easier to scrumple into a ball and gives more defined crease marks in the paper. 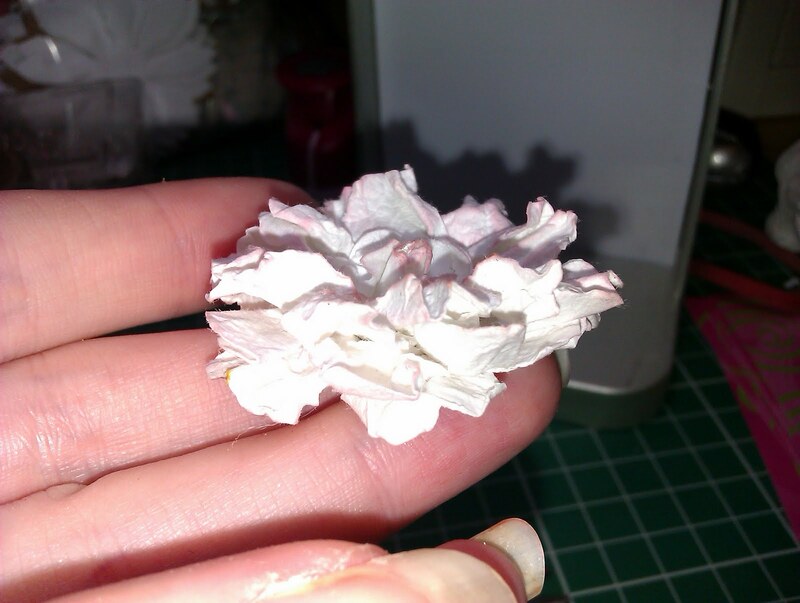 Once you lightly spritz all 4, gently scrunch each flower into a wee ball. At this stage you can let them dry naturely or use a heat tool to quicken the drying process. See photo 2. 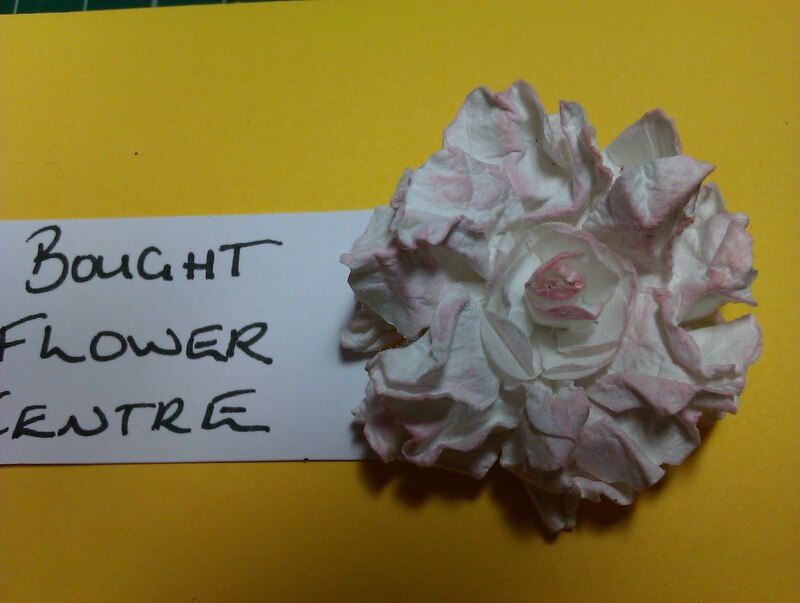 Once your flowers are dry, very carefully unravel each flower being careful not to tear the petals. 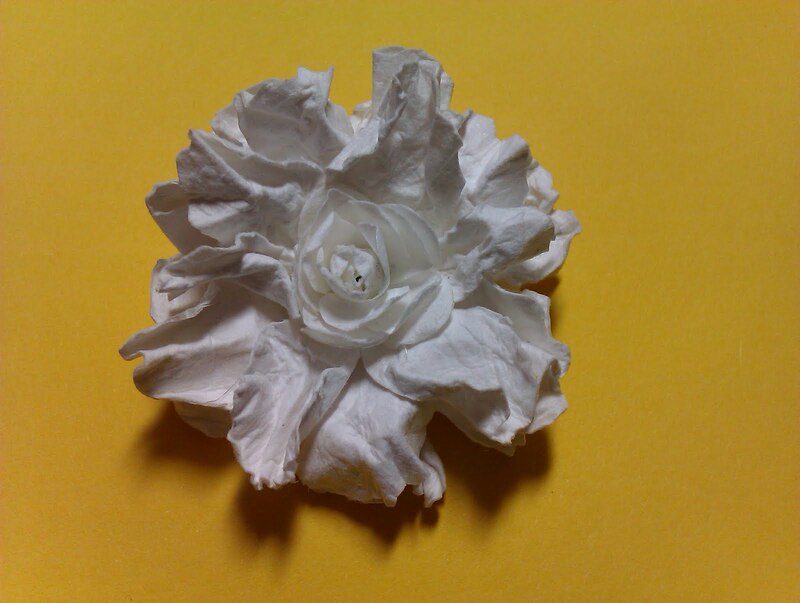 Do not completely flatten the flowers out as you want it to stay as crumpled as possible as the creases give the flower its shabby appearance. See photo 3. 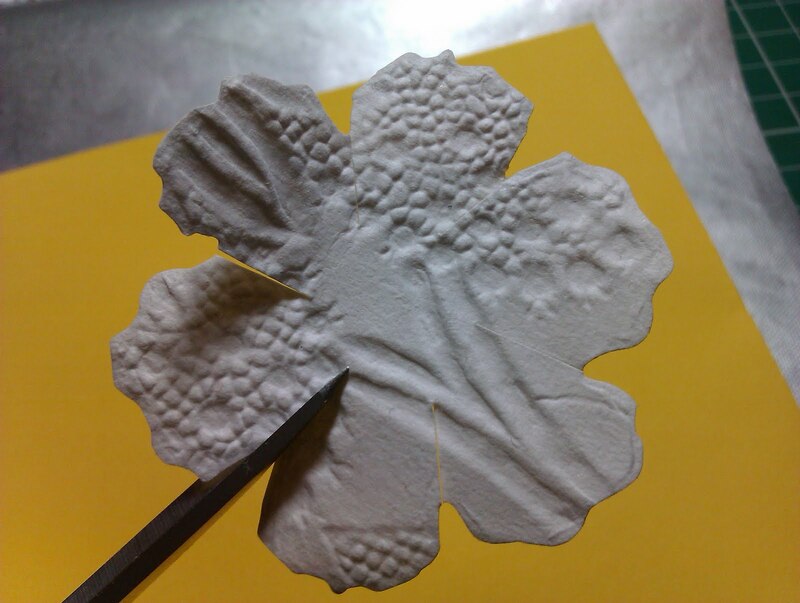 Now its time to build your flower. Take the little centre flower and place some glue onto the underside of the flower. You can be generous with the glue as you want to mould the flowers around the centre flower. Place the centre flower onto one of the crumpled flower centres. See photo 4. 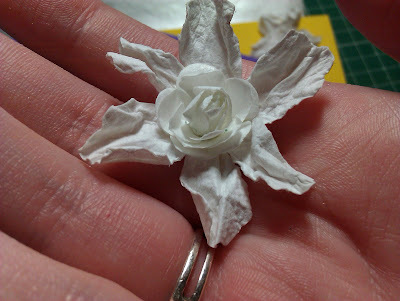 Place a blob of glue into the centre of the next flower and layer, making sure to alternate the petals. Do this for the rest of the flowers remaining. See photo's, 5,6 and 7. 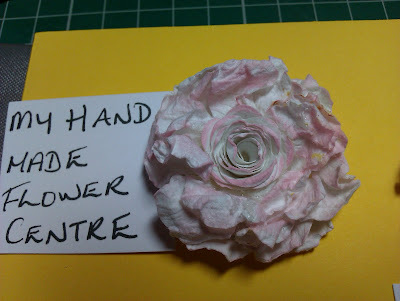 As I said, you can use a bought flower or make your own flower for the centre. 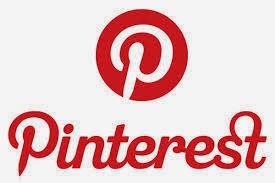 Here are examples of both. I personally prefer my own handmade flower but you may think different. Wao...! 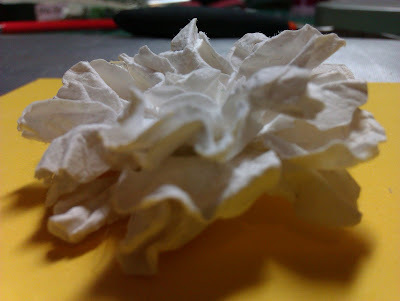 Beautiful flower... I don't have dies.. 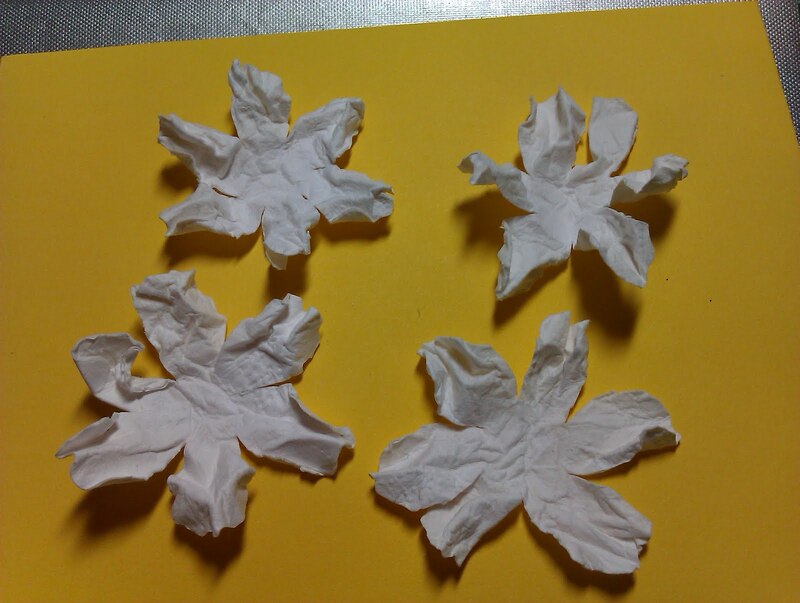 I will hand draw the shapes and try this... 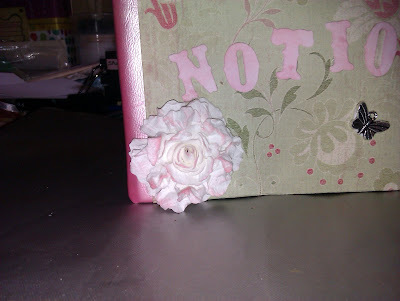 Thanks for sharing dear..
Another fab tut! Great work Lee! beautiful flowers lee. it looks ever so familiar. now where did i see one of those?? Pretty, pretty, pretty. You are so talented.